Hidden in the Welsh valleys is a small town called Pontypandy, the villagers carry out they day to day lives knowing that should they need help that Fireman Sam is just a phonecall away. 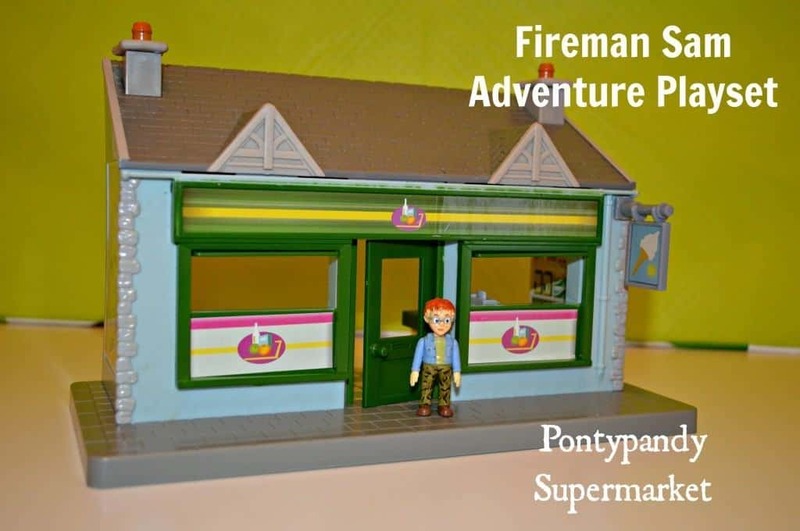 Character Options have released a fabulous new range of Fireman Sam playsets so that every home can have their own little bit of Pontypandy. From the different buildings, vehicles and a range of action figures there is something for every Fireman Sam fan. Tigger was very lucky sent the Pontypandy Supermarket, Jupiter and Sam with mask and Norman. The Pontypandy supermarket comes complete with a Norman action figure and trolley, which allows for some interaction with the playset. Personally if the child had no other Fireman Sam playsets I don’t think that this would hold their attention for very long. The windows of the supermarket can be pulled down to show flames… time to call Fireman Sam! 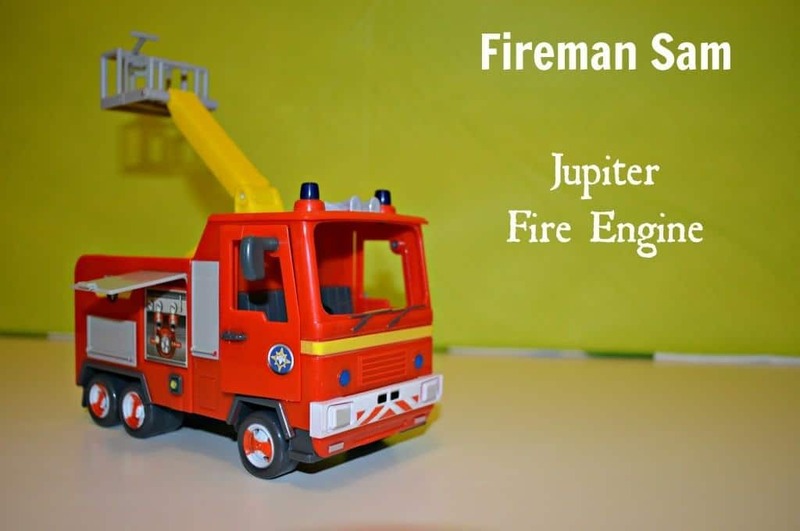 What use would Fireman Sam be without Jupiter? This Jupiter playset has several elements that makes it interactive for the little ones. With opening doors, space inside the cab for the action figures to hop inside and the extendible ladder that swivels and turns to wherever it is needed. Hidden behind one of the side doors there is a hose reel which can been unravelled and used by one of the action figures, it is however quite fiddly to wind back up and put away. The action figure playsets come complete with two figures and there are six different sets to collect. Tigger was sent Fireman Sam with mask & Norman. Fireman Sam is moveable which enables him to hop inside Jupiter and allows your little one to interact with the character, Norman on the other hand only stands. As a parent I need to have my moan about the packaging of the Fireman Sam building and vehicles, the cardboard is fantastic and great that you can recycle, however screwing them to the packaging is a little over the top and very frustrating when you have an eager three year old asking for the set. Packaging moan over with, Tigger has enjoyed playing with the playsets. I can see that he is frustrated by the fact that Norman (both of them) doesn’t move like Fireman Sam does. Although Norman isn’t meant to sit inside Jupiter he wants to add him into the cab alongside Sam. 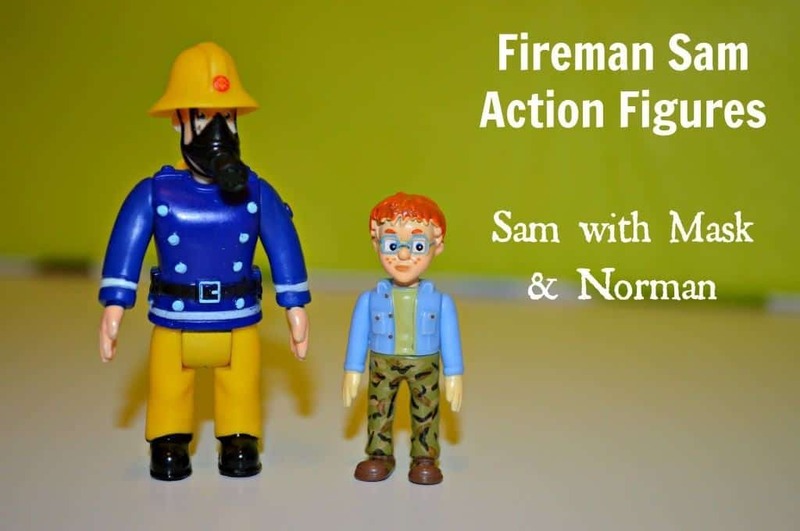 Disclosure: We received the above Fireman Sam playsets FOC for the purpose of review.